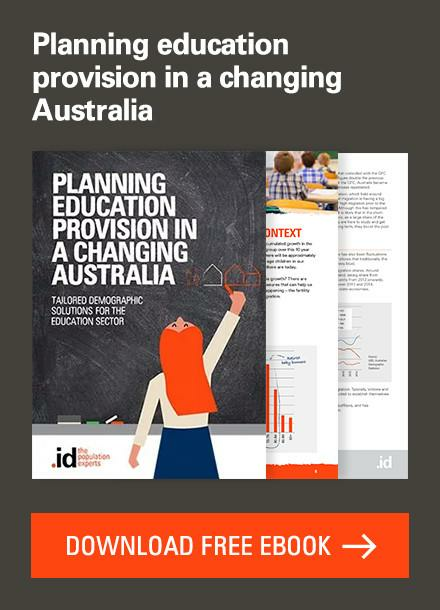 On Friday March 30th, the ABS released its annual update of population for all Local Government Areas in Australia. What does it show? 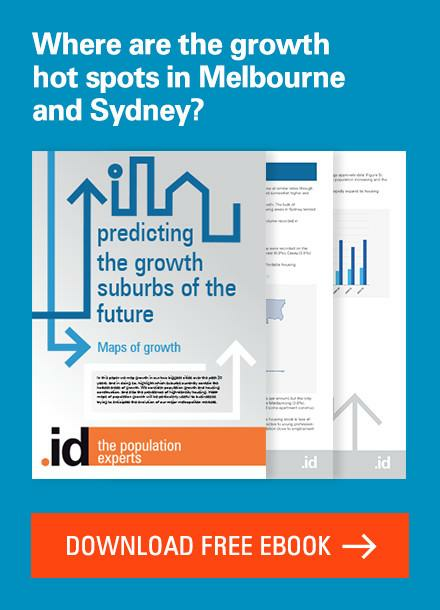 Melbourne’s population continues to outgrow Sydney’s, but Perth is the fastest growing capital city in the nation. What about at the local area level? How is the 2011 population estimated? Firstly, the ABS always release this at the end of March every year, for the previous financial year, ending 30th June. This is one of two bits of data which .id update annually on profile.id sites, so that our clients always have the latest official population of the area. This year it’s a little different. This is the last population estimate which will be based on 2006 Census base year numbers. 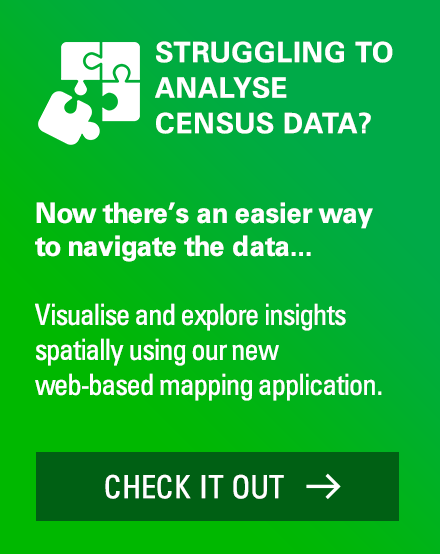 Every year after the Census, the ABS work out how many people entered and left each area, how many were born and how many died, to get an estimate. This is the official population of the area, but it potentially becomes more uncertain the further you get out from the Census, and 2011 is as far from the previous Census as you can get, since it was a Census year. So in July, the ABS will release June 2011 population figures again, “rebased” on the new, 2011 Census. Last time this happened, in 2007, some LGAs had substantial upwards revisions while others had substantial downwards revisions. We don’t know which way it’s going to go this time, but we will be monitoring this closely, and will always have the latest numbers available on Local Government Community Profile sites. 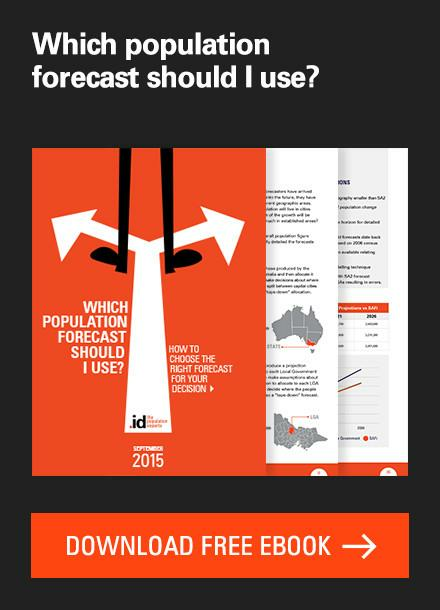 We’ll also look to see whether the ABS preliminary estimates or .id’s own population forecast (forecast.id) were closer to the “true” figure revealed after Census comes out. So, with that caveat in mind, what does the data show? Which populations are growing the fastest? Firstly, Melbourne continues to grow substantially faster than Sydney, with a growth rate in 2010-11 of 1.6%, to Sydney’s 1.3%. This translates to an actual increase of about 67,000 people in a year in Melbourne and 60,000 in Sydney. So Melbourne is indeed on track to become the largest city in Australia once again, but it’s going to take a while, as Sydney still has about 500,000 more people. 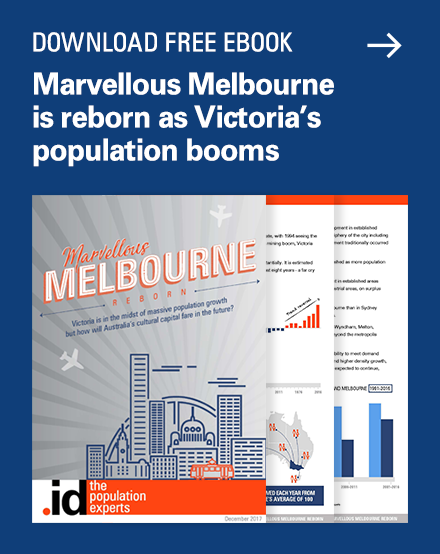 See my article “Is Melbourne’s population going to overtake Sydney’s?” for the background to this, and how boundary definitions can skew this. Brisbane is growing a little faster than both, at 1.7%, but is unlikely to overtake either in the forseeable future. Even adding in Gold Coast and Sunshine Coast, the population is still just under 3 million. Perth is the fastest growing capital, at 2.5% growth, for a population of just over 1.7 million. The City of Wyndham, in Melbourne’s outer west, was the fastest growing area in Australia, adding 12,200 people in a year, and eclipsing the Gold Coast’s growth for the first time. Gold Coast has typically grown by about 15,000 per year, but in 2010-11 the growth “slumped” to just 9,600 there. 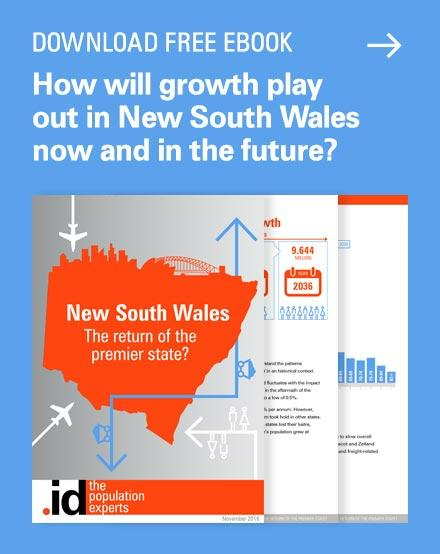 You can see from .id’s population forecasts for Wyndham that we expect it to grow from the current 168,000 people to around 334,000 people by 2031. Over all though, the heady population growth found nationally in 2009 has slowed substantially, and some areas, particularly the more remote rural districts (those without a mining industry), seem to be back in decline. The chart below shows the top 10 fastest growing LGAs in Australia, in 2010-11. 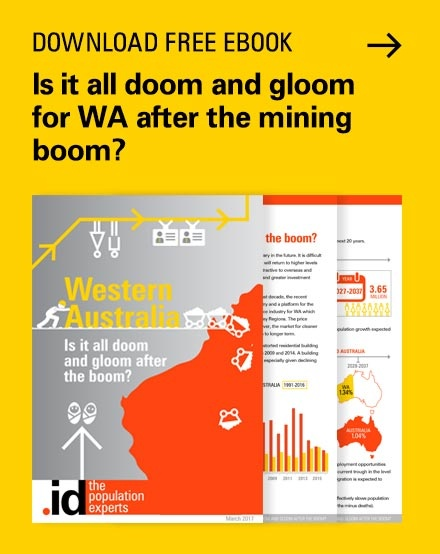 Note that the population of Cook Shire in QLD and Exmouth Shire in WA is tiny compared to the others on the list, so they don’t need huge numbers of people moving in to see a very large percentage increase. Nine of the top 10 fastest growing LGAs are in WA and Victoria. Stay tuned for .id’s commentary on the 2011 Census results, which will be released on June 21st, 2011. If you would like to receive more updates about demographic or economic trends, do follow us on twitter @dotid or subscribe to our blog (above). 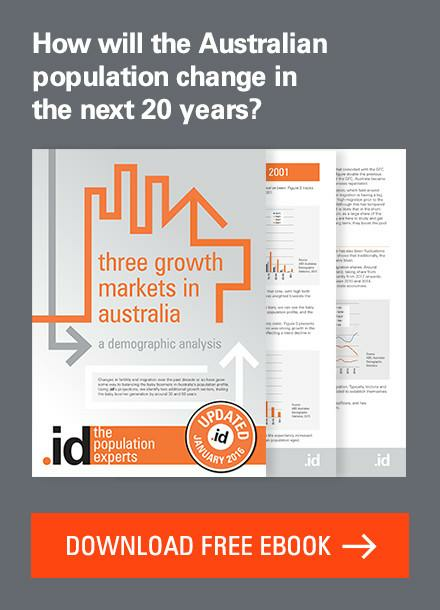 You may also like to visit us at id.com.au where you can access our demographic resource centre. ..and when was the last time a new railway line was built in Melbourne? – 1930, the Glen Waverley line. The population then was about 1 million.